CLEVELAND, OH–(Marketwired – Dec 7, 2015) – Surgical Theater, a leader in the field of Virtual Reality and Image Guidance software for surgery, further strengthens its leadership team, and further advances its competitive advantage by the recent hiring of start-up medical device executive, Jim Breidenstein. Mr. Breidenstein will serve in the role of President and Chief Operating Officer of the SNAP Division. Jim will be responsible for overseeing, developing, and setting the strategic direction and leadership of the commercialization efforts for Surgical Theater. Surgical Theater’s unique and highly innovative products allow “Surgeons and imaging to connect.” Surgical Theater develops advanced 3D imaging and surgical navigation software based products that allow surgeons to see what cannot be seen with standard imaging systems. 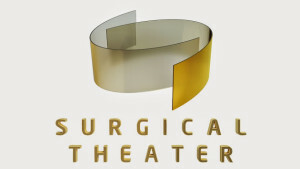 Through the broad placement of its devices for Pre-Operative surgical planning and intra-operative Image Guidance, Surgical Theater distinguishes its leadership position in this rapidly advancing field and is applying its unique competencies in Flight Simulator and Virtual Reality technologies to advance the use of medical imaging in comprehensive surgery care. By reconstructing and fusing CT, MRI and other images into 3D Virtual Reality models, the SNAP enables surgeons to perform a realistic “fly through” of his/her patient-model, to obtain unique 3D guidance to determine the surgery strategy, the safest and most efficient pathway to remove cerebral tumors and treat vascular abnormalities. Jim Breidenstein brings top notch and extensive commercialization leadership experience to Surgical Theater. Jim is a catalyst in leading companies to significant growth. Jim comes to Surgical Theater with a vast breadth of successes in driving rapid growth of medical device companies from pre-FDA approval, to market launch, through the scaling phase, to IPO or acquisition. Jim’s most recent career successes were clearly substantiated at Cardiovascular Systems, where Jim served as a Senior Vice President. Mr. Breidenstein was also part of the Pre FDA team at Kyphon, and his tenure took him through a $4B acquisition. Jim also launched Neuronetics, where he served as their Vice President of Sales as they introduced their disruptive and innovative technology to the market place. “I am honored to assist in the Surgical Theater mission, and I look forward to working with the Surgical Theater Team. Surgical Theater is not just a company; it is a way to advance the practice of medicine. We can now see, plan, and literally rehearse our most complex surgical procedures in ways that we simply could not do before,” said Mr. Breidenstein. “I clearly have the vision that all patients will be treated with the aid of Virtual Reality Guidance Technologies and I am confident in Surgical Theater’s positioning as a leader in this field,” said Jim. “I am very proud that we were able to attract an experienced executive with a long standing and proven track record of commercial success such as Jim. I am excited for the strategic momentum that we are executing forward with the addition of Jim Breidenstein as our President and Chief Operating Officer of SNAP Division. Jim is a strategic leader who will strengthen our leadership team, and who will lead a pivotal transformation to drive the vision of Surgical Theater. We believe that we will soon equip each and every surgery department and operating room with our 3D Virtual Surgical Guidance Platform,” said Moty Avisar, CEO & Co-Founder. Surgeons have used Surgical Theater technology in over 1,000 cranial cases nationwide to help patients with tumors and cerebrovascular disorders. Surgical Theater devices are FDA cleared and also obtained CE Mark in September this year. Recently, Surgical Theater has also entered into an agreement with the world’s largest medical technology company to provide advanced 3D Virtual Reality based image guidance alongside with a traditional surgery navigation solution.